How can I find hotels in different Bristol neighborhoods? Staying in Bristol? There's a number of lodgings for visitors to choose from. Expedia's comprehensive database has 63 places to stay within a 0.1-kilometre (0.06-mile) radius of Bristol's central area. 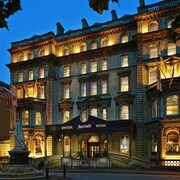 An essential ingredient to stress-free vacationing is finding a convenient location to base yourself, so check out the latest offers at the Bristol Marriott Royal Hotel and Marsh House Serviced Apartments, which can be found within a 1-kilometre (0.6-mile) radius of Bristol's downtown area. One of the more common hotel neighborhoods in Bristol Floating Harbour, is 0.7 kilometres (0.4 miles) from the heart of Bristol. 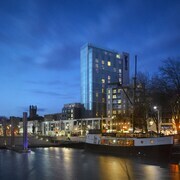 Bristol Floating Harbour offers 18 Expedia-listed hotels. 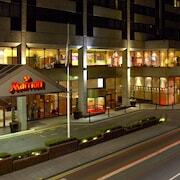 Choose between a number of places to stay including the SACO Bristol - Broad Quay and The Bristol Hotel. Harbourside another prominent Bristol hotel neighborhood is 0.6 kilometres (0.4 miles) from the center of Bristol. 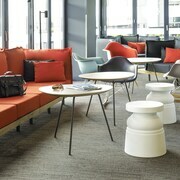 Harbourside has 17 hotels, including the Radisson Blu Hotel Bristol and Mercure Bristol Brigstow Hotel. You can also find somewhere to base yourself in Clevedon, which is where you'll find the Best Western Walton Park Hotel and Warrens Village, and Yatton, which is home to the DoubleTree by Hilton Hotel Bristol - Cadbury House and Bridge Inn Yatton. The Holiday Inn Express Bristol - North and Bristol Serviced Lettings - Filton are located in Filton, and Aztec Hotel & Spa and DoubleTree by Hilton Bristol North are part of the Patchway area. Hotels that are close to the University of Bristol include the Hamilton Apartments and the PREMIER SUITES PLUS Bristol Cabot. 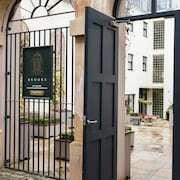 The Cabot Mews Apartments and Bristol Marriott Hotel City Centre are positioned within an easy walk of the St. Peters Church. The Clifton Suspension Bridge and the SS Great Britain are two other well-known Bristol destinations. The Avon Gorge Hotel and the Victoria Square Hotel are close to the Clifton Suspension Bridge. 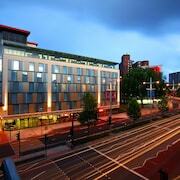 While the Holiday Inn Bristol City Centre and the PREMIER SUITES Bristol Redcliffe, are near the SS Great Britain. If you are planning on arriving or departing via Bristol International Airport, you can book a room at Redhill House Bristol Airport, or Acorns Guest House, both of which are close.